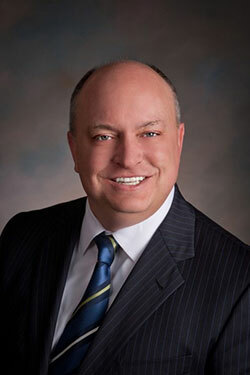 Chris Peterson manages business development and government affairs for PACE Sage Capital in Nebraska. Peterson’s primary focus is to build awareness about PACE and identify PACE eligible projects. He works with commercial developers and property owners, elected officials, the banking community, commercial real estate attorneys and other professionals and organizations serving the CRE industry throughout Nebraska. Chris has networked with political, business and community leaders across Nebraska for twenty-five years. A graduate of Papillion-LaVista High School and the University of Nebraska-Lincoln, Chris is founder and president of CP Strategies LLC – a Lincoln, Nebraska-based government relations and public affairs firm. He started as a staffer in the Nebraska Legislature, worked on three statewide campaigns for Mike Johanns, and spent nearly five years as communications director in the Governor’s office. After stints as director government affairs for Union Pacific Railroad and as vice president for development for BrightStar Education Group, Chris launched CP Strategies. Chris’s experience spans the energy, healthcare and transportation sectors, among other industries. His consulting practice includes grassroots and grasstops activation, media relations and crisis communications, lobbying the state legislature, and, candidate and ballot issue campaigns. Chris Is a member of the Nebraska Chamber of Commerce & Industry, Lincoln Chamber of Commerce, and Lincoln Independent Business Association. He and his wife, Betsy, have three sons ages 21, 18 and 8, and a 3-year-old daughter.